In the late summer of 2004, as chunks of metal were falling off and the wrong doors were opening at random on the brand-new $650 million Las Vegas Monorail, I was summoned to the gleaming new offices of R&R Partners in Summerlin. I believed I was there for a casual coffee visit with a young executive named Dain Percifield who had become a personal friend. But then Dain greeted me in the lobby with an uncharacteristically grave look. I thought someone had died. Maybe even on the Monorail? “I have something important to talk to you about,” he told me, leading me into a bare glass meeting room. I never got any coffee. I guess there was never going to be any coffee. I had no idea what “this” was. Over the prior two years, I had built myself up as one of the premier freelance journalists in Las Vegas. I wrote for all the major national publications about all things Nevada and the American Southwest and had more work being thrown my way than I could complete. Rossi, of course, is Rossi Ralenkotter, the recently retired former CEO and president of the Las Vegas Convention and Visitors Authority who is now under investigation over the alleged misuse of public funds to buy $90,000 in Southwest Airlines gift cards. Ralenkotter, who made more than $440,000 a year, used some $17,000 of those gift cards for personal use and paid the money back only when that fact was becoming public. So, what did I do to so offend Rossi? Well, as I mentioned, the boondoggle known as the monorail was having a miserable debut. It didn’t really — and still doesn’t — go anywhere convenient for most visitors. And the much-touted business plan — that it could be privately funded and make money even though no public transit system in the world ever has — was being exposed in real time for the absurdity it was. A week prior to my R&R visit, I had interviewed Ralenkotter on the phone for a piece for the Boston Globe about internal FBI memos that had emerged suggesting Vegas law enforcement and casino bosses had been dismissive of terrorism threats to avoid scaring off the tourists. After the LVCVA chief provided me the predictable denial of such malfeasance, I pivoted to ask about the monorail. 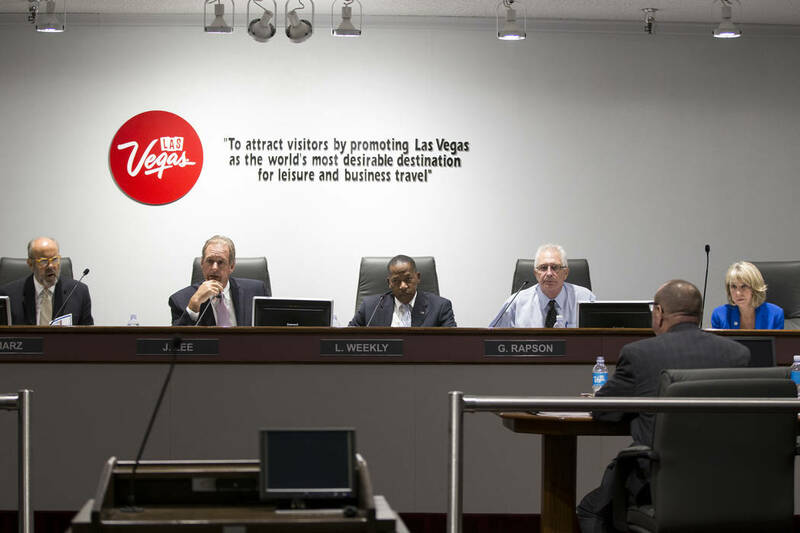 The LVCVA had oversight of the system and had been pivotal in greasing the political wheels to get it built, so surely it was fair game to ask Ralenkotter about the crappy ridership data and troubling safety record. Ralenkotter seemed peevish while we spoke, chastising me for slipping in a different topic. Then he insisted he didn’t know anything or have anything much to say about it. I found that strange, given how prominent he was when it was opened, so I told him so and gave him another chance to respond. I didn’t really think much of the exchange that day. Reporters often ask prominent public servants tough, even rude questions. They often take the opportunities when they present themselves to cover more than one topic and, if they’re any good at all, don’t accept the first response when it seems inadequate or invalid. I was persistent but not disrespectful. While the LVCVA was certainly R&R’s most lucrative client, the firm also worked for casinos, performers and political candidates who all had quite a lot to lose in terms of coverage in national forums if I couldn’t speak to them. Rather than tell Ralenkotter to get over his fit of pique, explain to him how legitimate journalists operate or just let him think I had been “dealt with,” they had a friend try to scare me into bowing to this dude. I refused. I simply did not believe such a threat could be enforced. Las Vegas is the most competitive city I know for publicists, who are tasked with trying everything possible to help their clients’ names and products break through a deafening cacophony. Have you ever landed in an airport as aggressively overwhelmed by advertising as McCarran? How would they explain the lack of coverage to their clients — by telling them that Rossi Ralenkotter’s very tender feelings were hurt? As I suspected, the threat was a bluff. Nothing happened. A couple of weeks later, I spotted Ralenkotter at the premiere of some show and went over to his seat to say hello. He sneered at me and left my outstretched hand hanging. A decade later, I tried to make nice with him at another public function and received the precise same brush-off. I never again interviewed Ralenkotter —the LVCVA or R&R got me other people to talk when I needed them — and my journalism never suffered for his absence. I have no idea whether Ralenkotter will be directly implicated in any wrongdoing related to the gift-card scandal. What I do know is that Ralenkotter has a long history of pettiness and of self-aggrandizement — and R&R has indulged it as a cost of holding fast to Nevada’s fattest ad contract. I do wonder, though, how Rossi is holding up now amid all this intense media and law-enforcement scrutiny and how badly he must wish he still had R&R to run interference. Steve Freiss, a former Review-Journal reporter, is a freelance writer living in Ann Arbor, Michigan.